The Move With Balance® program has won several national awards over the years. 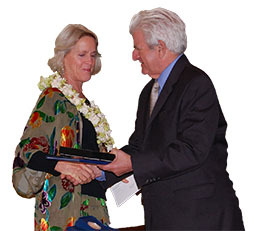 PAIA, Hawaii (February 25, 2015) – Move With Balance has been honored by Premier, Inc. as a finalist for the 23rd annual Monroe E. Trout Premier Cares Award for preventing falls and fall-related injuries, and enhancing brain function and cognitive skills in a growing population of frail elders. Based in Paia, Hawaii, Move With Balance received $24,000. The program began in 2005 as a regional project on the island and is founded on two unique and innovative elements. The first is a sequence of activities and movements that not only help elders regain muscular confidence, but also sharpen elders’ mental acuity. The second is the program delivery model based on volunteer mentors. In group settings, active seniors ages 55 and up work one-on-one with frail elders. of which receive cash awards for use in further improving their programs. The Cares Award program spotlights these community-based healthcare initiatives and helps other organizations learn to replicate the unique programs by featuring information about them on the Cares Award website. 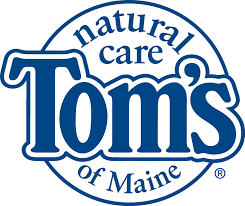 Paia, HI, December 17, 2014 – Giving Back has been selected as one of the 51 winners from each state and Washington DC in the sixth annual Tom’s of Maine “50 States for Good” community giving program. The organization will receive $10,000 to fund important community projects and services that will allow the creation of web-based training materials to be used for easy replication of Move With Balance® throughout the state of Hawaii and beyond. The mission of Move With Balance® is to enhance the lives of all older adults by pairing active, fit elders with frail elders in loving intergenerational relationships. We meet this challenge by offering learning opportunities that include integrated movements, vision training, confidence and balance exercise skills in our goal of preventing injuries from falls and enhancing cognitive functions. Non-profit community giving program winners from each state were selected from a pool of nearly 3,000 nominations by a passionate panel of influential judges representing a variety of unique perspectives on human, healthy and environmental goodness. “The Move With Balance® program was honored at the National Forum on Brain Health held on March 29, 2102, in Washington, DC, during the Aging The Review Committee found the Move with Balance® model to be innovative, unique, and easily replicable.” Read more about the award and recognition about the program in this article published by the American Society of Aging. 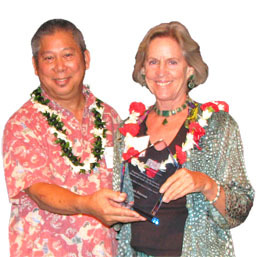 Karen Peterson of Giving Back receives the Na Lima Kokua Business Award from the Hawaii Pacific Gerontological Society for her program Move With Balance®. The award is given to individuals who have helped to enhance the image of aging, or strived to make a unique contribution to the elderly. The Giving Back Fall Prevention Program has been selected as a Merit Finalist by Mutual of America Foundation of New York City. 10 innovative programs are nominated for special recognition, and are encouraged to begin replication of their programs. 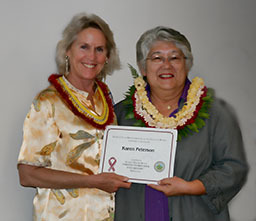 Selected Women of Maui County (Hawaii State Commission on the Status of Women). 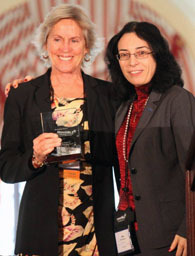 Karen Peterson, Program Director for Giving Back Mentoring, receives an award. (Traverse City, MI – Sept 12, 2013) – Experts tell us it’s a great time to be alive. More people today are living better than ever before, in part because of easy access to information. How can you find the keys to better living? Read more books! Jenkins Group is proud to announce the winners of the 5th Annual Living Now Book Awards, presented to honor books that improve our lives in wholesome, Earth-friendly ways. The award winners were chosen from newly published books in lifestyle categories from cooking and parenting to wellness and spirituality. In all, 107 gold, silver and bronze medals were awarded in 34 categories, out of 545 total entries. Karen Peterson has received the bronze medal for her book Move With Balance®: Healthy Aging Activities for Brain and Body in the Mature Living/Aging category. The Living Now Book Awards celebrate the innovation and creativity of newly published books that enhance the quality of our lives, from cooking and fitness to relationships and mature living. The awards are open to all books written in English and intended for the North American market. The gold, silver and bronze medalists in this year’s Living Now Book Awards offer a list of books representing the fastest-growing segments of book publishing today, and the Living Now Book Awards help demonstrate the importance of these books to readers and their vitality in the marketplace. 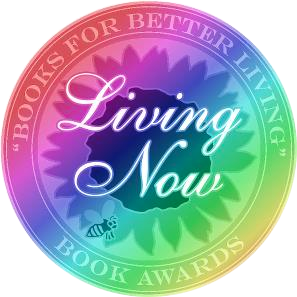 Congratulations to all Living Now Book Award winners for their contributions to a better world. See the complete results listing here. National magazine selects “Move With Balance: Healthy Aging Activities for Brain and Body” in its search for the best indie books of 2013. Traverse City, MI, March 13, 2014 — Today “Foreword Reviews” the only review magazine solely dedicated to discovering new indie books, announced the finalists for its 16th Annual Book of the Year Awards. Each year, Foreword shines a light on a small group of indie authors and publishers whose groundbreaking work stands out from the crowd. Foreword’s awards are more than just a shiny sticker on the front of a book; they help connect the best indie books to readers eager to discover new stories written by previously unknown authors. “Move With Balance®: Healthy Aging Activities for Brain and Body” is a finalist for the 2013 Book of the Year Awards in the Health category. In the next two months, a panel of over 100 librarians and booksellers will determine the winners of these prestigious awards. A celebration of the winners will take place during the American Library Association Annual Conference in Las Vegas on Friday, June 27 at 6 p.m. with awards in over 60 categories, cash prizes for the best in fiction and nonfiction, and widespread recognition.